The construction industry is embracing the technological advances and taking advantage of how it can enhance productivity and help track data management, which helps alleviate stresses due to a shortage of laborers in today’s world. It also is a way to increase productivity and efficiency which translates to an increase in businesses bottom line. Below are some of the most popular Construction Industry technology trends geared towards contractors. 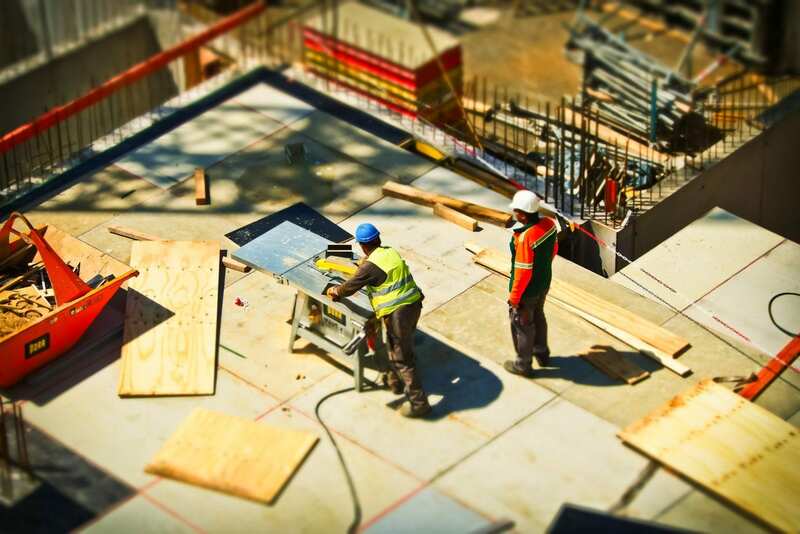 In the construction world it is a common occurrence that the team of workers consisting of engineers, surveyors, architects, managers and construction workers be working separately at any given time. However, through the advancement of cloud technology and software solutions, it is possible for the wide arrays of talented people communicate and share vital information including graphics, measurements, and instructions for a specific project to be shared real-time. While the Fitbits, Apple Watches, and 3D glasses may typically be geared towards exercise, fitness and fun, this wearable technology is quickly gaining popularity on construction sites. The reason being is that it can offer the ability to relay instructions during the process of working rather than reading and constantly referring to written instructions. Also, it provides the ability for the construction workers to be tracked and monitored in the event of an accident. In lieu of the standard assembly of projects onsite, with new technology available, it is becoming a growing trend for projects to be assembled offsite instead. This advancement means that the design team can also act as the construction team, which means a major cost-cutting option for construction companies. Fabrication Machinery can be acquired through a low monthly payment by utilizing Machinery Financing options. In addition to sustainable materials being more environmentally friendly, they are also becoming more durable and safe, offering more versatility in the construction industry. Using sustainable materials can also be a great way to increase sales because there has been a huge increase in consumers awareness of sustainability. If offering these types of materials is more costly look into a line of credit or factoring. As technology rapidly advances, there are applications being developed that are strictly geared towards the construction industry. The uses of AR, augmented reality and VR, virtual reality are making their way into the training aspects as well as enabling project managers to virtually monitor the progress of construction projects. While this has been available to some degree in the past, the recent advancements of BIM are implementing the usage of sensors and internet-enabled devices that provide data and insight so that structural designs can be improved upon from both stability and sustainability standpoints. It offers not only 3D and 4D programming but 5D, 6D, 7D and 8D. These features allow for the model-base to take on every minute detail of the actual constructed project. The capital needed for this technology can be quite expensive so keep in mind the benefits of financing to stretch out the terms and help with cash flow. BNC Finance recognizes the importance in providing necessary capital for your business needs and works with businesses of all sizes. Our wide range of funding solutions allows businesses to keep up to date with the Technological trends of the industry. Contact one of our Business Advisor’s today and find out how BNC Finance can serve as an important resource and is a great way for businesses to keep ahead of the curve and with the evolving technology.